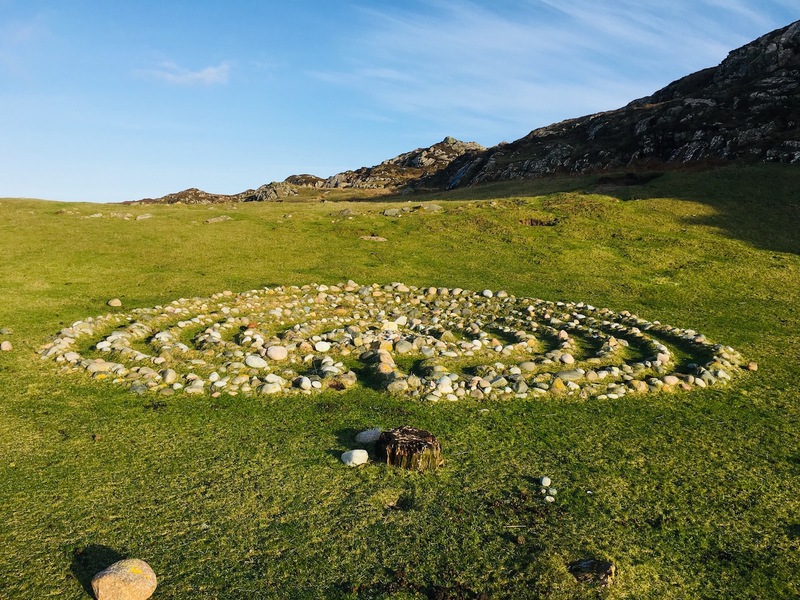 Full day explore with our guide and renowned geologist and font of knowledge all things stone, James, exploring the landscape and geology of Iona. We will begin to understand how these stunningly coloured rocks of Iona were created. James will explain what we are seeing as we traverse the island. Iona is very different geologically from the Isle of Mull. The rocks are much older with the oldest dated at over 2000 million years old. The colours of these rocks can be spectacular, especially on freshly wave-washed rock. 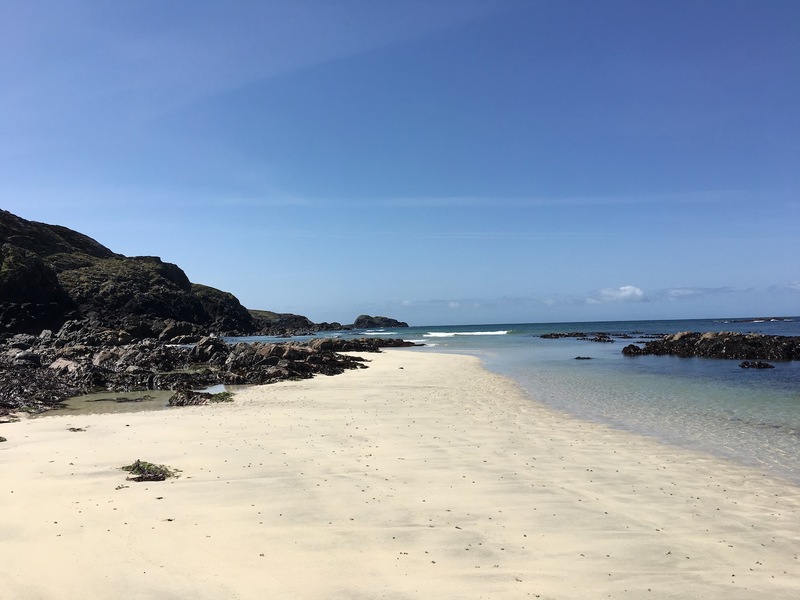 We walk south towards St Columba’s Bay, where the saint is said to have landed we will explore the bay with a chance to find a semi-precious stone, including the famous Iona greenstone. James will identify the rocks you are looking at for you. Then on to the marble quarry, the marble is a beautiful white colour and has been highly revered since ancient times. Much of the quarrying equipment is still in place, a good example of industrial archaeology, it is a very atmospheric place. Then we slowly wend our way back northwards to see the Spouting Cave with its blowhole and Bay at the Back of the Ocean. The rocks have a distinctive colour – bright red granitic exteriors and dark grey basaltic interiors. They really are conspicuous. It is a wonder to see such art in rock! The Bay at the Back of the Ocean is a lovely place with a wonderful expansive feel and a special habitat called Machair, it is a unique habitat full of specialised flower species. It is also home to Iona’s golf course, which is probably not like many others you have seen, as you are just as likely to encounter a highland cow or sheep on it as a golfer! Its location is incredible with the backdrop of the sea with its many shades of blue, white sand beaches with curlews and oystercatchers. A lovely place to finish your Iona exploration. We offer a number of bespoke tours and can advise clients on suggested itineraries depending on their preferences. For instance a full week exploring the neolithic sites and wonders around Loch Tay. Please get in contact to discuss.